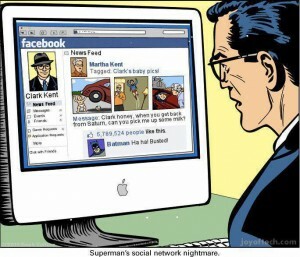 Clark Kent’s secret, superhero identity was discovered on the social network Facebook because of Martha Kent posting his baby photos. Tsk tsk. 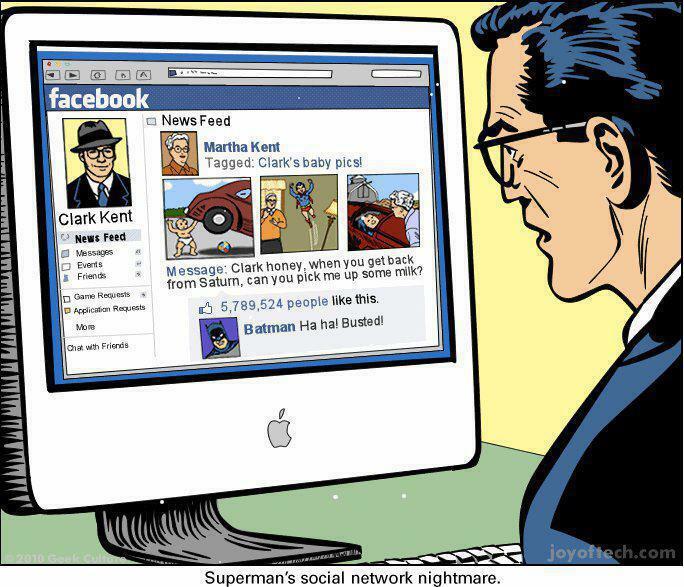 As Batman says, “Busted”. Click the image to enlarge it. This entry was posted	on Wednesday, February 8th, 2012 at 1:42 PM	and is filed under Funny. You can follow any responses to this entry through the RSS 2.0 feed. You can leave a response, or trackback from your own site.